Our first goal is always to keep your traffic ticket from appearing on your driving record at all, if possible. Often, we are able to obtain an outright dismissal of your traffic ticket case, in which case you will usually owe the court nothing. If we cannot arrange an outright dismissal of your traffic ticket, we usually obtain a disposition on your traffic citation with the lowest possible impact on your driving record or insurance premiums. Should you desire a trial on your traffic ticket charges, we are willing and able to assist you. What If an Arrest Warrant Has Already Been Issued? If an arrest warrant has been issued because you never requested a court date, or missed a scheduled court date, we can still assist you. What we do then is immediately move to have your arrest warrant recalled, and set a new court date for your case. Why not Just Represent Myself? It’s Only a Traffic Ticket. No offense intended, but there is an old saying: “A person who represents himself in court has a fool for a client.” Yes, you can represent yourself in court. However, you will be expected to know and adhere to the same rules of law, evidence, and procedure that attorneys spend years learning in law school, and perfecting in the courtroom. If you are being prosecuted for a criminal offense or a traffic ticket, the prosecuting attorney will have a tremendous advantage. Acting as your own attorney can have disastrous consequences (loss of your license, jail time, probation, hefty fines, court costs, permanent loss of civil liberties, permanent criminal record, etc.) that might otherwise have been avoided or minimized had you simply hired a lawyer. A commercial driver’s license is necessary for individuals who drive commercial vehicles. We have helped countless truckers, cab drivers, bus drivers, and other commercial vehicle operators keep their licenses and protect their jobs. If you have a commercial driver’s license you know that your license is crucial for performing your job duties. Facing the loss of your commercial driver’s license could threaten your career, your family’s welfare, and your personal security. If you lose your license you will lose your ability to drive, and quite possibly your job. We know how to protect the rights of CDL holders. We will help you protect your commercial driver’s license and avoid suspension or revocation. Your Commercial Drivers License is necessary for your job and your livelihood. Do not lose an opportunity to protect yourself from suspension or revocation. If you have been accused of driving with a suspended license, our attorneys will defend your rights and help you deal with the serious consequences associated with violating license suspension. In particular, be aware of the common situation where someone receives a ticket for Driving on a Suspended License without knowing their license was suspended. They try to correct the situation and have the license reinstated before court, and then enters a plea to the charge. If you enter a plea to this charge, it triggers a new suspension! Traffic law is very tricky, and having legal help can change your outcome drastically. Traffic ticket charges such as this can lead to many penalties including fines, permanent revocation of your license, or even jail time. Our attorneys know how to protect the rights of our clients and minimize the negative consequences associated with driving with a suspended license. You could be charged with a felony if you received numerous speeding tickets and were caught driving with a suspended license. Just speeding alone, with no license issues, can cause you to lose your license, obtain points against your license, cause your license to be suspended or revoked, and cause your insurance rates to skyrocket, or for your insurance policy to be cancelled entirely. You could also be charged as a “Super Speeder” depending on the speed and other condition. Speeding can also be much more serious when combined with other charges, or if you are considered to be a Habitual Violator. The ability to drive without restrictions affects your ability to work, your family, and your security. so speeding tickets should not be taken lightly. Georgia’s new ‘Super Speeder Law’ defines a Super Speeder as a driver convicted of speeding at 75 mph or more on a two-lane road or at 85 mph and above on any road or highway in the State of Georgia. In addition to the fines and fees paid to the jurisdiction where the speeding offense took place, a $200 Super Speeder state fee is to be paid by the convicted driver. Failure to pay the Super Speeder fee within 120 days of official notice will result in the suspension of the offender’s license or driving privileges. Payment of a $50 reinstatement fee in addition to the $200 Super Speeder fee will then be required to reinstate their license or driving privileges. Note that out of state drivers are subject to the same requirements as Georgia drivers. If you do not pay the Super Speeder fee, the DDS will impose a suspension of your non-resident driving privilege in Georgia. The DDS will then report the suspension to your home state’s licensing authority which would then decide to take additional action, if any. Most people think that Habitual Violator is a crime. In reality, Habitual Violator is a status. If you have the status of being a habitual violator, that means you are capable of committing certain offenses others cannot commit. You can be assigned with the status of habitual violator by committing three serious driving offenses within a five year period. 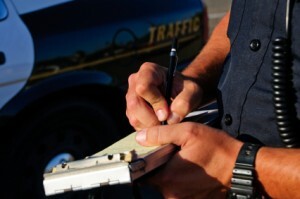 These serious driving offenses include DUI and any offense listed in Georgia’s legal code. Why Choose James T. Johnson, as my Traffic Ticket Attorney? James T. Johnson, a practicing traffic ticket attorney, has over twenty years of experience representing hundreds of clients in a wide variety of traffic ticket cases, and has specific experience in all aspects of traffic court, as a defense attorney and as a traffic court prosecutor.